The City of Duncanville’s Zoning Ordinance Update project is underway! The following information outlines the results of public input and participation thus far in the project. 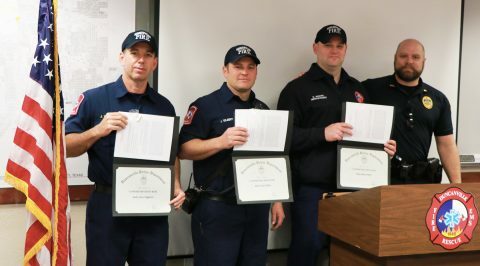 The Zoning Ordinance Update kicked off with a successful community open house held on February 6, 2019 at the D.L. Hopkins Senior Center. The over 40 attendees participated in a polling exercise to identify the residents’ support for some of the big picture ideas, and then board exercises were conducted to receive open-ended input on selected topics. The polling exercise identified a desire for diverse housing types in moderation, overwhelming support for increasing design standards to improve the look of the City, and the importance of building design standards and increased landscape standards. Feedback captured on the input boards highlighted participants’ thoughts on what types of housing and businesses are missing and identified issues with building design, landscaping, parking, walkability and procedures in the current ordinance. Stakeholder interviews were also conducted by the project team on February 6, 2019 with City Staff, developers/development community, and appointed officials to receive their thoughts and ideas on the most pressing issues in the current ordinance and how to resolve those issues. An online survey was conducted from January 29 to February 10 and was made available on the City’s website as well as the project website. The survey was designed to identify the areas within the City that the residents like and dislike and their reasoning behind the preferences, general directions related to the zoning ordinance, and their priorities. A total of 158 people participated in this survey. The visual preference portion of the survey highlighted the desire from the public for lush landscaping, townhomes for young people and retirees, buildings with unique design, more mixed-use shopping/dining/living, and parking with landscaped walkways. All the public input received so far, along with feedback from the Planning and Zoning Commission, formulated the basis of the draft diagnostic report which will build the framework for the ordinance update. 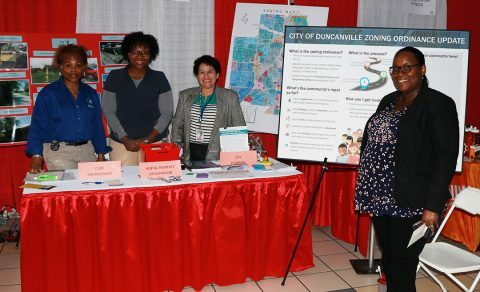 For more information, or to submit a comment regarding the Zoning Ordinance, please visit the project website at https://clients.freese.com/duncanvillezoning/.